It'd be all too easy to assume that Hyundai and Kia are the only Korean automakers out there. After all, together they're the fourth largest automaker in the world. And with Daewoo officially going the way of the dodo – replaced, in name at least, by GM Korea – they are the only ones we get in North America. 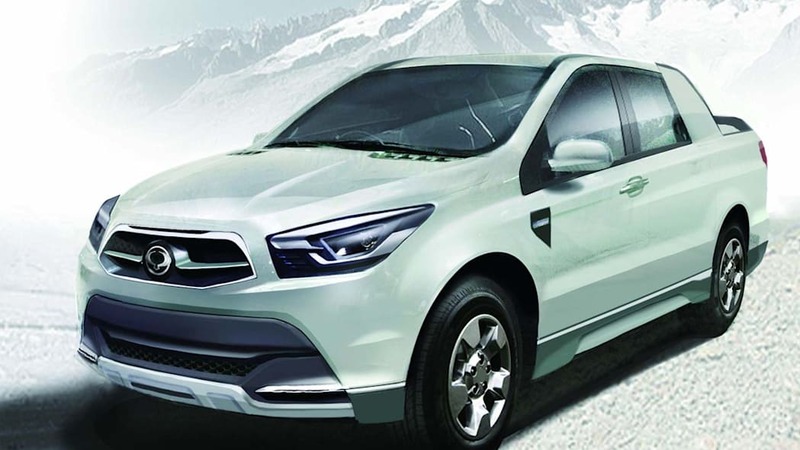 But overseas buyers can also pick up a Ssangyong. The other South Korean automaker makes vehicles – not the best, mind you, but they make 'em just the same – like the Actyon. 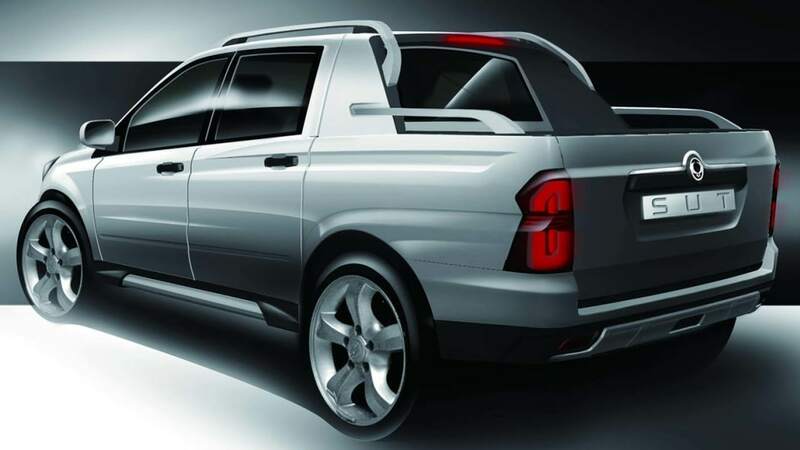 And at the upcoming Geneva Motor Show, Ssangyong will be unveiling a new pickup version called the SUT 1 Concept. Apparently a concept in name only, the SUT version is set to go on sale overseas early next year. And when it does, it will be available with manual or automatic transmissions, in either two- or four-wheel drive, mated to a 2.0-liter diesel with a whopping 153 horsepower and 265 pound-feet of torque. We know you're excited, so you'll want to check out the preview renderings in the gallery below and the press release below the fold. 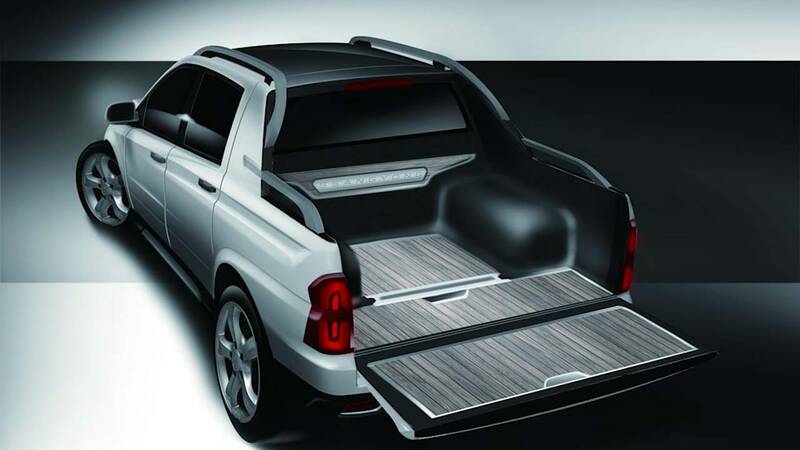 While maintaining the essential characteristics of a traditional pick-up, this concept presents a more contemporary look to reflect the styling expected of today's Sports Utility Truck. 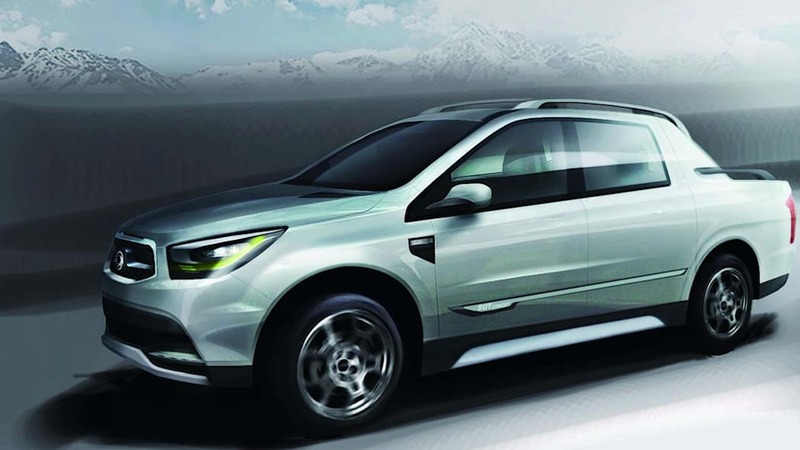 The concept is similar in size to the current Actyon Sports - 4,985mm long x 1,910mm wide x 1,755mm high, and with a generous 3,060mm wheelbase. Satisfying environmental demands for Euro 5 compliance, the new 2.0 litre diesel engine produces a maximum output of 155ps and maximum torque of 360Nm. Optimum torque is delivered across a low yet broad rev range of 1,500-2,800rpm, giving effortless acceleration from low engine speeds.